A new tool for reporting the state of animal health across the globe is being introduced this year and N8 AgriFood’s livestock specialist is part of its world-wide promotion. The World Organisation for Animal Health (the OIE), is this month launching its new World Animal Health Information System (WAHIS). Named the OIE-WAHIS, the new version of the global service, which dates back to 2005, is being redesigned and upgraded in a technologically advanced yet user-friendly form, in a bid to provide comprehensive information about the global situation on animal health and diseases. 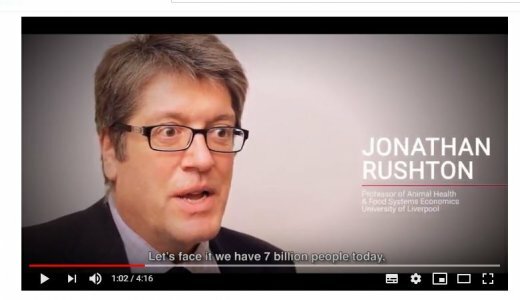 As part of its promotion of the roll-out of the new system, the OIE has released a video featuring N8 AgriFood’s chair at the University of Liverpool, Jonathan Rushton, pictured above. Professor Rushton talks in the video about the need to better manage animal data amid a growing global population to ensure food safety and security.